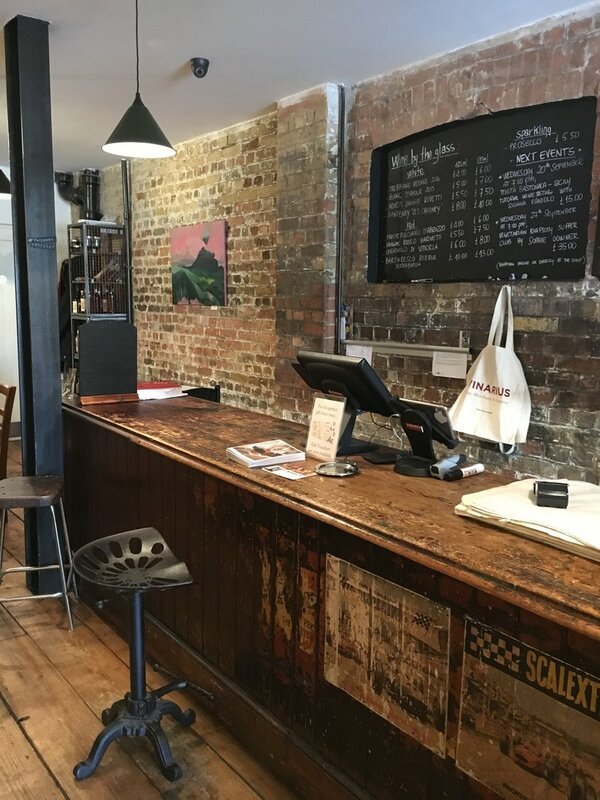 Somehow, I felt a bit discouraged before doing this interview with Philippe Polleux, co-founder with Eugenio Ciccarelli of “Vinarius” (2014), a cosy wine tasting shop in the heart of east-London. In fact, despite being Italian, my knowledge of wines is very limited and I started appreciating them quite late in my life. Wine culture together with art, technology or even fashion represents those kinds of topics where you normally think people are expecting an opinion from you. Well, in the course of this interview, talking to Philippe, I actually learnt a great lesson: the appreciation of wine doesn’t necessarily take knowledge or preparation but rather curiosity, passion and humbleness. Mature wine consumption has approached London only in recent years and “Vinarius” has adopted a genuine and democratic approach for its local market: sourcing small independent wineries, strongly rooted in their region (mainly in Italy and France), producing wine with passion and in a sustainable way to offer a unique out-come with affordable prices. We can call it the new democratisation-era of the industry, very fitting with the east-London mood and the new younger wine consumers. About these and other interesting topics, Philippe and I talked about today with a very open heart. *Archive image showing from left Philippe Polleux and Eugenio Ciccarelli, founders of “Vinarius”, London. Luca: Let’s start talking about the location of “Vinarius”: Roman Road. An ancient pathway built by the Latins, nowadays extending from Bow to Bethnal green, passing across Mile End area. Hundreds of new commercial businesses bloomed in the last five years changing the social landscapes of the area. Do you think this gentrification has added value to the east of London and, as a consequence, to your business? Philippe: I don’t like the word gentrification as it can be ambiguous, with many meanings and associations. To be honest, we are more interested and I would like to talk more about the multi-culturalism that has always been the essence of east-London for centuries. Gentrification brings conflicts while culture can only bring tolerance and social cohesion. Many locals are still sceptical about new people and business settling in the area, thinking of it as invasive social and commercial action. Nevertheless, it has also allowed to bring more interest and visibility to many emerging commercial activities. A newer segment of younger English customers is approaching wine now. They are not necessarily educated about wines; as Italian and French could be; but they are definitely very curious and experimental. This is why I love working in this area. It allows me to divulgate wine culture in a down-to-earth way, trying to establish a genuine human contact with every person that crosses that shop-door in search of inspiration. Luca: I agree. I definitely can tell that the human touch is really important to you from the way this place looks and your team works. Is it the same criterion by which you choose your suppliers? The wineries? Philippe: Yes, this is exactly it. There are many producers out there. Some of them are quite good but I can tell their main interest is profit and volumes. What Eugenio and I are trying to achieve is slightly different. We look for smaller independent producers which use only grapes cultivated with respect and hard work to offer a product which is different from the average: interesting and somehow more unique. Besides, we are paying a lot of attention to organic and biodynamic productions which adopt less chemicals and offer a more natural and eco-sustainable business approach. 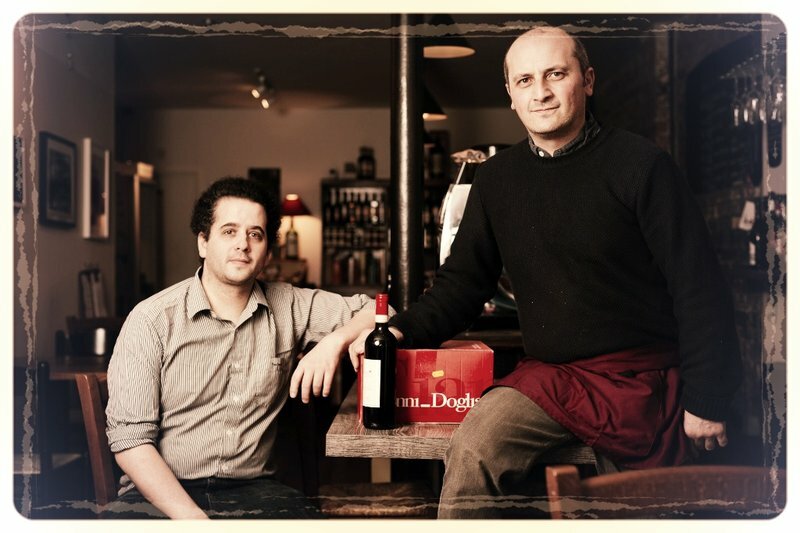 Our favourite producer is “Gianni Doglia”, in Piemonte region, Italy. When my girlfriend and I visit him we feel always very welcomed. We see a lot of meticulous work, passion and creativity. 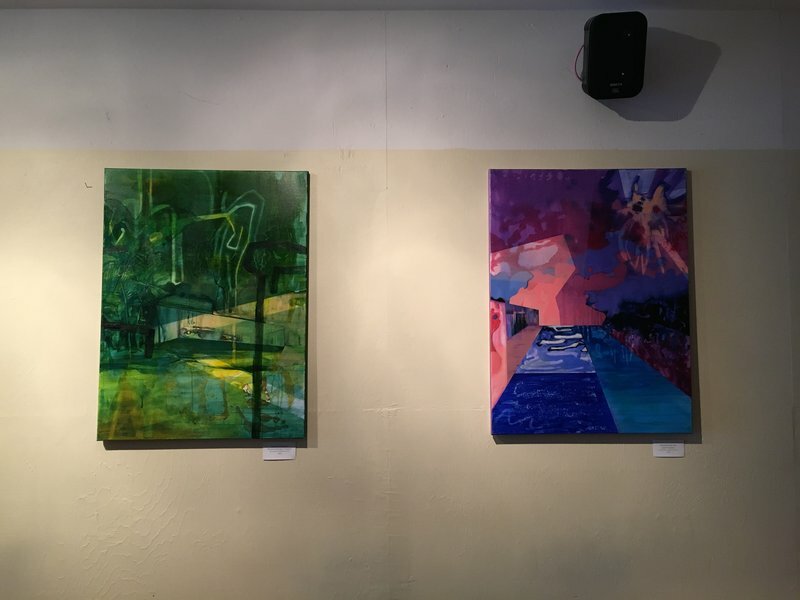 Luca: You talk about creativity and I can’t avoid looking at the beautiful art-pieces hanging on the walls by local artist Karolina Albricht. I know from your website you even have an art curator, Lucia Bonadies. This is really impressive! Do you think wine is somehow comparable to art? Philippe: Yes, totally! Wine could be considered a piece of art for its layers of complexity: both in its production and, of course, in its consume. Appreciation of wine takes sensibility and people that come here to choose their wine are normally interested in knowing as much as they can about the story behind it. Wine consuming behaviour in London nowadays has progressively shifted to a more sophisticated approach. Wine is not like any other alcoholic drink and it is not necessarily for an every-day use. Therefore, people are now more than ever looking for quality over quantity. There is a wine for every different occasion and different personality. I find it very enjoyable, for example, when customers come to me asking for the perfect wine for a romantic date. The same way you would put the effort in pulling your special outfit together or selecting the right music to create atmosphere and to impress the other person, so the right wine can contribute representing your lifestyle, your taste, your personality. Luca: I bet you have a lot of experience associating wines with personalities! I am sure that as soon as a new client enters the shop you can match him or her with a wine. Philippe (laughs): it is not that easy but... Yes, I can get a good feeling of a customer’s profile after I exchange a few words with him. I like when younger local consumers approach me. They are normally very enthusiastic and experimental. 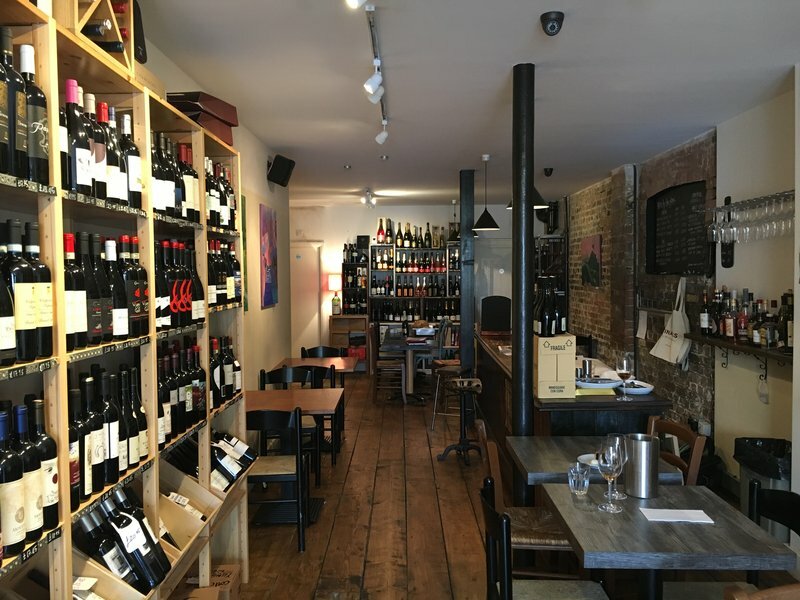 They would go for the new un-heard wine from a small Italian territory as opposed to older and socially established customers, often based in the west of London, going for more affirmed denominations and labels. Also, more and more women are in charge of wine buying nowadays. I think this is very refreshing and shows how society has changed in this very sexist business by tradition. I have to say there is still a long way to go to reach complete equality. I still notice a lot of discrimination towards female sommeliers. Luca: When I approached you before at the main counter I noticed that some parts of it were covered in funny ink stains... Pardon my curiosity but why is that? What happened? Philippe: the explanation is simple. The piece comes from a local printer shop. When we found this place and we started refurbishment works we wanted to do things quickly and also, somehow, not to forget about the raw identity of the surroundings. Therefore, we were sourcing pieces from other local businesses which were closing down their activity and dismissing items. Some of them are really something! Our idea of creating the shop-concept is inclusivity of different unique styles. Nothing is really matching. Chairs are different from each other, so are the tables. Regardless, they give an overall sense of familiarity and authenticity. Luca: Yes, I get this. I have a last couple of questions to conclude this interview. Actually, it is more like a curiosity to understand a bit more about your wine selection. Firstly: which is, at the moment, your trendier wine? And secondly: which is your most expensive one and what is its price? Philippe: Well, I can answer this very quickly. The trendiest wine is definitely Argentinian “Malbec”, although, not many people know that its origin is in France. There is also a recent emerging interest in “Pecorino” from Abruzzo region, Italy. The most expensive wine in the shop is “Brunello di Montalcino” (£36,95), a red wine from Tuscany. On our website we sell a fine “Bordeaux” for £160. Luca: Do you sell champagne too? Philippe: Oh yes! A very good one, for £30 a bottle at the table. 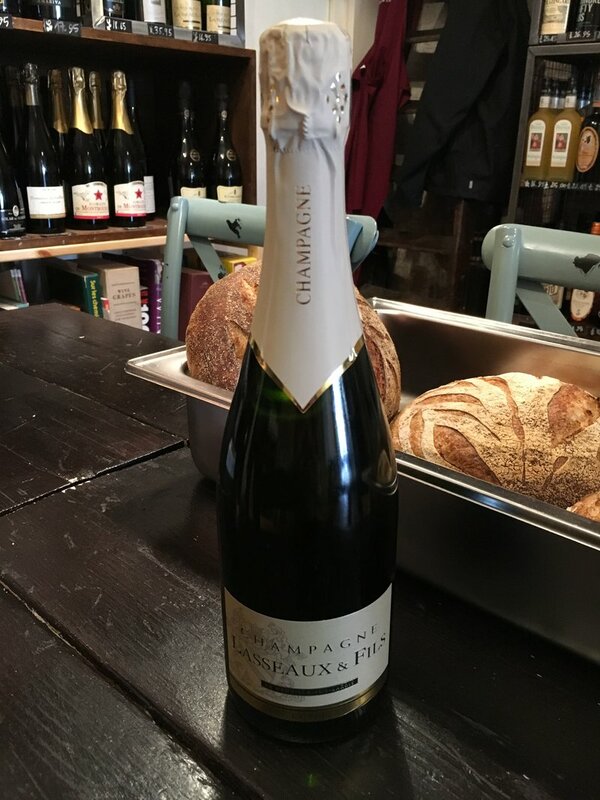 It comes from a very small French producer, Lasseux & Fils, which supply grapes for big established brands like Dom Perignon and Veuve Clicquot. The business has recently passed down to the sons which are trying to revamp the brand and its marketing strategies. It is not something that will happen overnight though. As you probably can guess the wine pace is much slower than common perception. This is exactly what makes wine so interesting to me and also to our clientele. Luca: I agree. In this fast-consuming society, more and more oriented to disposability, wine humbly “takes its stand” slowing us down, reminding us that, still at present, there is another world, built with human passion and respectful of tradition. Thank you very much Philippe for your time! This interview today has been very enlightening. I am very glad I came here with my scarce knowledge about wines: it made me appreciate all that you had to say in a more open and un-prejudicial way. A lot more topics could have been touched but I hope I generated a little bit of curiosity. Philippe: Thank you. It was a pleasure. For those who want to know more about us and our wine selections or wine tasting events more information is on our website, vinarius.london.